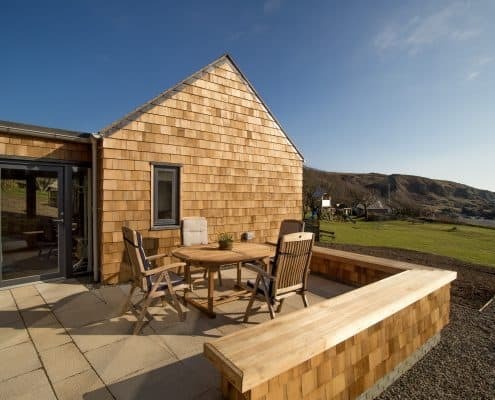 Architect John Murray has specified Marley Eternit’s JB Shingles to create a stunning cottage annex for a luxury Victorian boutique hotel in Dumfries and Galloway. 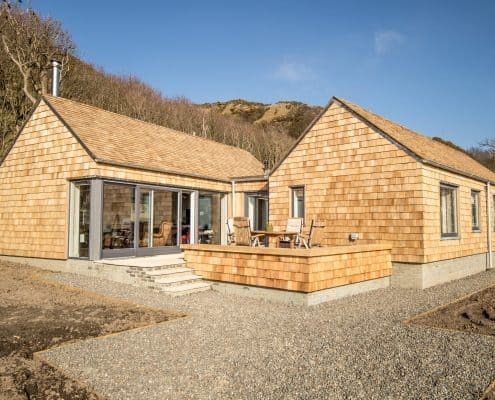 The aptly named Shingle Lodge, built by 3b Construction, has been wrapped entirely in the western red cedar shingles to blend in with its natural surroundings. 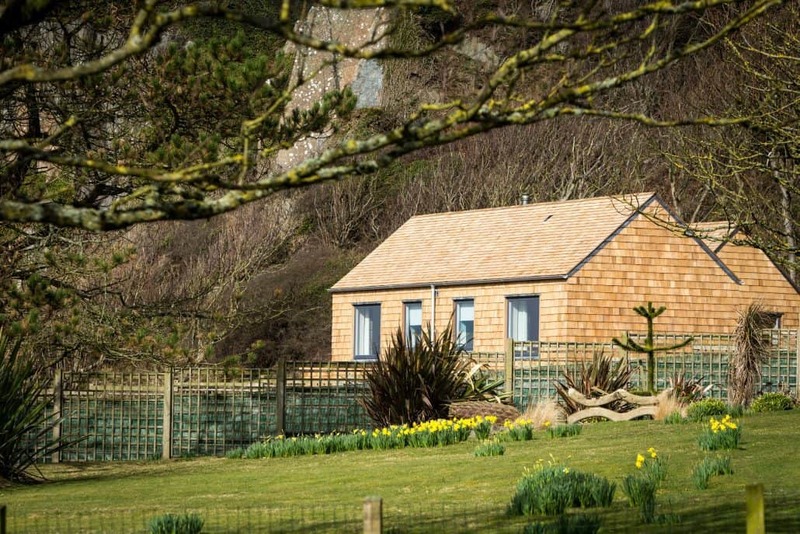 The owners of Knockinaam Lodge hotel wanted to create a separate cottage annex to cater for guests who require easy accessibility and self-contained accommodation. Situated in 30 acres of landscaped grounds, with its own private beach, the architect needed to ensure that all exterior materials for the hotel annex were robust enough to withstand the severely exposed conditions without deteriorating. 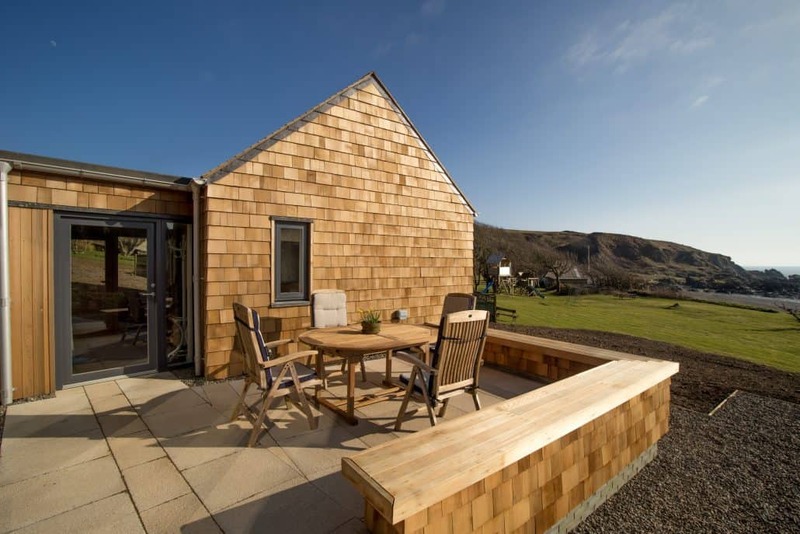 Marley Eternit’s JB Shingles were specified for both the roof and cladding of the annex, creating a stunning cottage that sits beautifully within its surroundings as a breath-taking piece of architecture. 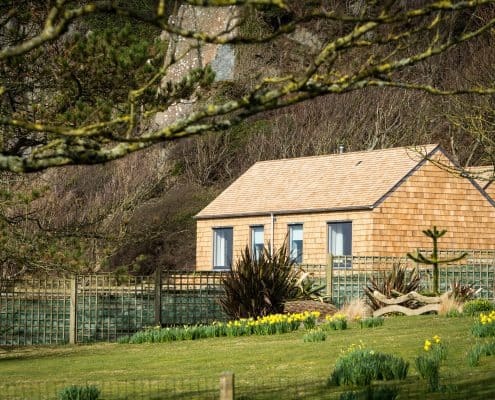 When viewed at a distance, Shingle Lodge has achieved what the architect intended by retaining its aesthetic integrity and blending into the coastal environment. 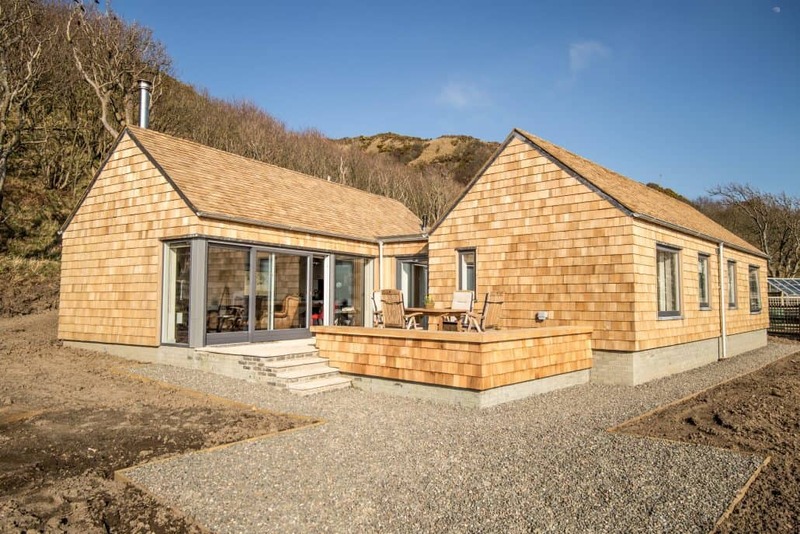 With one of the lowest carbon footprints of any widely used building product, shingles are perfect for projects which are driven by sustainability objectives. Marley Eternit’s JB western red cedar shingles also offer the highest-quality ‘Blue-label’ grade and are accredited by the Programme for the Endorsement of Forest Certification (PEFC), which ensures that the biodiversity and ecosystems of the forest are preserved. 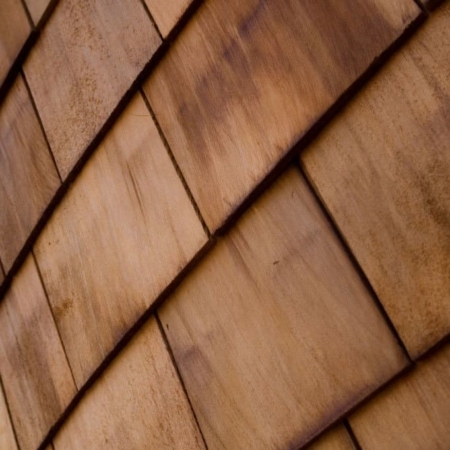 JB Shingles are available with a clear preservative treatment called MicroPro® to retain the natural look of cedar, with a guaranteed minimum lifespan of 40 years. Many preservative treatments are alkaline and react with the natural tannins in the cedar, often leaving black or dark stains, or are prone to leaching (washing) out. However, MicroPro’s® unique formulation uses a suspended micronised copper-based preservative that leaves the shingle looking completely natural.